Located in Valle de Chalco, on the outskirts of Mexico City, the Museo Comunitario del Valle de Xico was built on an ex-hacienda dating to 1529, when it was given to Hernán Cortés by King Charles V of Spain. After the Mexican Revolution it came under public ownership, and the current-day museum, founded in 1995, now houses an impressive collection of pre-Columbian objects and safeguards the archaeological remains of the Valle de Xico. In response to the earthquake, the museum has partnered with organizations in the region to deliver supplies directly to affected populations. To date, they have sent out three brigades. The first brigade, which went out the day after the earthquake (September 20), ensured the successful delivery of medication to communities in the state of Morelos. 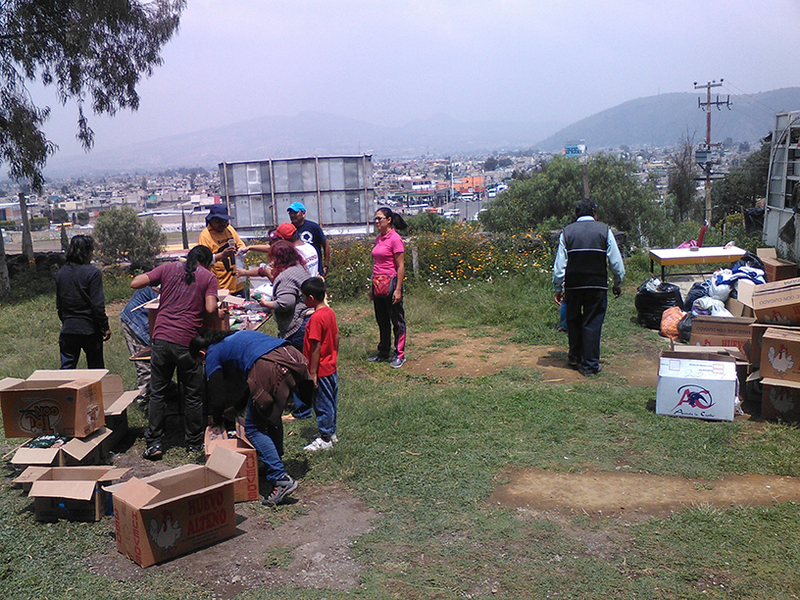 The second, which went out September 21, brought food supplies to the state of Puebla. The third, on September 25, went to the town of Tetela del Volcán, where several houses had been damaged and where, with the help of locals, they were able to reach a number of remote areas that had at that point not received any aid due to complications related to accessibility.